Photos and videos are essential at any corporate holiday event, not just for documentation but also to capture the memories and holiday cheer. Because lighting is not only vital for taking clear, crisp, and dramatic photos and videos, but also for creating the right atmosphere, it is smart to rent event uplighting equipment for corporate holiday events. 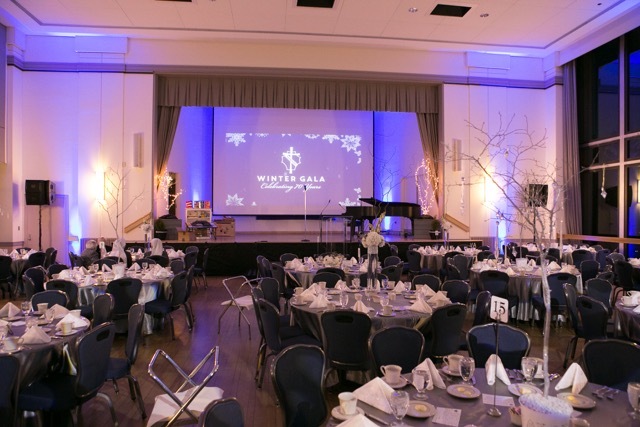 Strategic broad spectrum lights can make your holiday venue look more festive. With the creative blending of different colors and styles of lights, you can create absolutely stunning ambiance that is camera perfect. In order to achieve a great venue with great photo style, hire the best provider in event lighting services. Event lighting services in MA, CT, RI, ME, NH, VT can help your event photographers deliver great photos and videos. For perfect event setup, you need complete production service to provide a complete package that includes sound systems, uplighting, and video equipment that can work together seamlessly. Contact Immedia Event Production for one stop shopping event production needs.